In a day and time when everyone is being super careful not to click on suspicious links, there’s a new threat lurking. Just about every home and office have a router. It’s an inconspicuous piece of equipment that most of us rarely think about. And now, a new alert issued by the FBI says that Russian hackers have targeted routers in 50 countries around the world. Routers are rarely updated. Unlike the operating system on a smartphone or computer, most router manufacturers do not send out regular updates for their products. 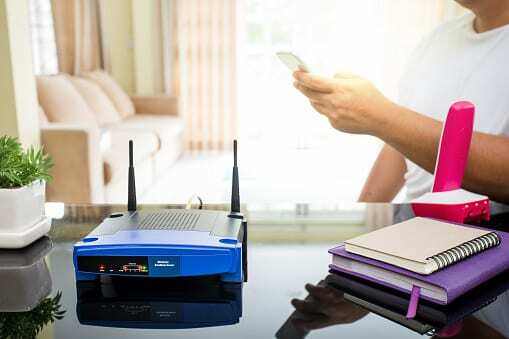 Last January, a complaint was filed against router manufacturer, D-Link. In the complaint, the FTC said that the manufacturer was leaving their users at risk by not installing adequate security measure. Their failure to do so had left many consumers open to attacks from hackers. Experts are now saying that there’s no incentive for router manufacturers to release regular updates to their products that could stave off attacks. Up to now, these manufacturers have not been held liable and when there’s no liability, manufacturers will often take cost-saving shortcuts. Using malware to target the VPN filter, cybercriminals are able to collect user data. Once the hacker has control of the router, they can use it to eavesdrop on consumers. This weakness also allows hackers a doorway to all home computers, TVs or anything connected via the router. The FBI recently discovered one website that hackers had set up to use in their attack. This website was designed to give instructions to the routers that had been taken over. Though shutting this site down did cut off one avenue of attack, the FBI warned that millions of routers were still infected. This leaves millions of consumers around the world vulnerable and most users will not even realize they’ve been hacked. Who is responsible for the hacks? The Justice Department said the hacking group referred to itself as “Sofacy” and that they answered to the Russian government. The hacking group also goes by the names Fancy Bear and APT28 and they have been involved in some very high-profile targets over the last few years. This group was blamed for the hacks carried out during the 2016 presidential campaign that targeted the Democratic National Convention. Cisco Systems Inc. performed its own investigation and found that the targeted routers include Netgear, Belkin’s Linksys, QNAP, Mikro Tik, and TP-Link. There may be others involved as well and most were purchased by consumers at local electronic stores and online. Cisco shared the results of their investigation with the Ukrainian government and the U.S. The FBI said that they believe some of the affected routers were also provided by internet service companies. Russia has long been involved in attacks against Ukrainian companies due to ongoing hostilities between the two countries. In the past, these attacks have cost millions of dollars and exposed the personal, confidential information of both businesses and individuals. At least one attack was responsible for an electricity blackout in Ukraine. The Ukrainian government recently stated that the Russian government was planning a cyber-attack against some privately held companies, along with Ukrainian state bodies. They believe these attacks were meant to disrupt the Champions League soccer finals which were being held in Kyiv. Experts are recommending that everyone using a router shut it down and reboot it. They also recommend disabling remote manager settings. If at all possible, upgrade the router to the latest firmware and change your password. Their experts said that hackers could render the routers affected completely inoperable if they wanted to, but that wasn’t their primary goal. Instead, they were planning to steal data off the computers, phones, and other connected devices by taking over the routers that controlled internet access. The FBI stated that the malware would be very hard to detect even by professionals because of encryption and other tactics used by the hacking group.